This new park and ride railway station provides 930 car bays to cater for the daily transport needs of over 2000 passengers. The station structure incorporates in-situ and precast concrete and architectural steelwork with bifurcated detailing. The finishes include innovative curved composite roofing panels, vitreous enamel cladding and aluminium composite panelling. 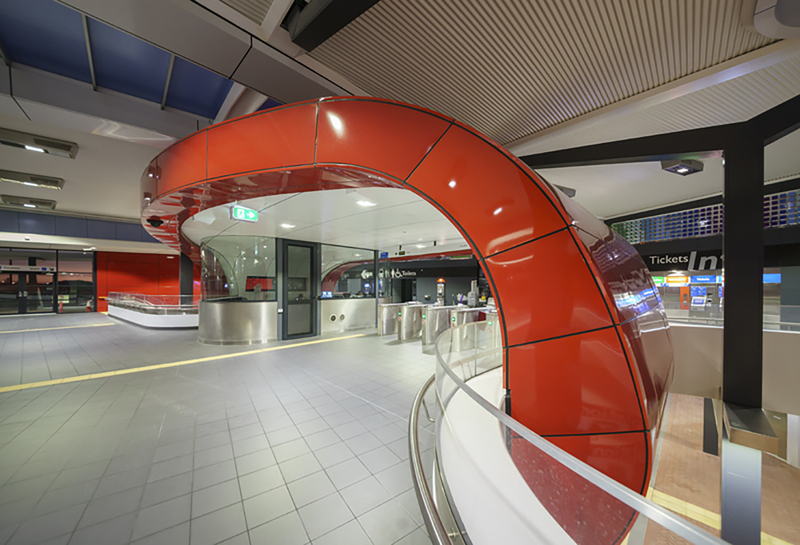 Passenger flow is directed through a range of zones with escalators, lifts and stairs available throughout the facility. 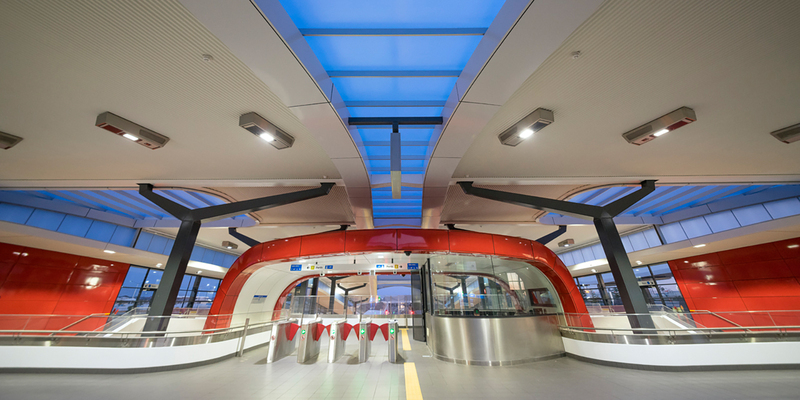 The installation of passenger information displays and automated ticket vending and fare gates ensure a swift connection for all passengers. 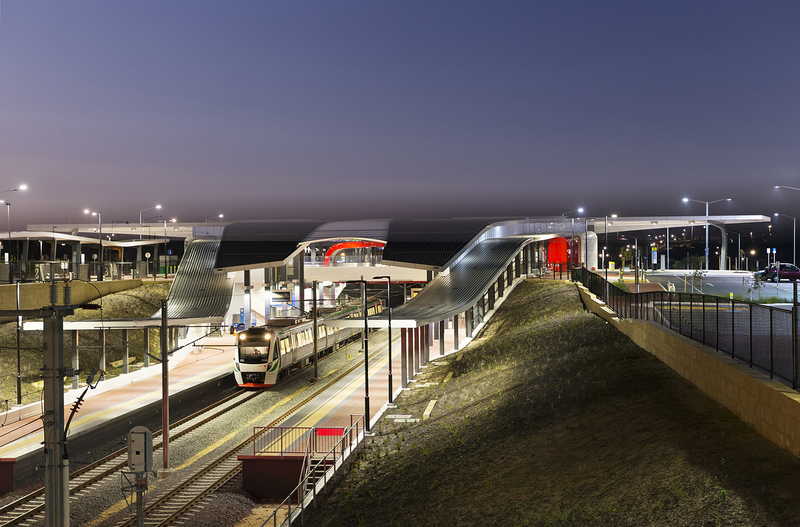 The in depth building management system caters for the fluid operation of the CCTV, DAVs and electrical systems associated with the complex Perth Rail Network.